Randy Holmgrain is used to wearing a uniform. 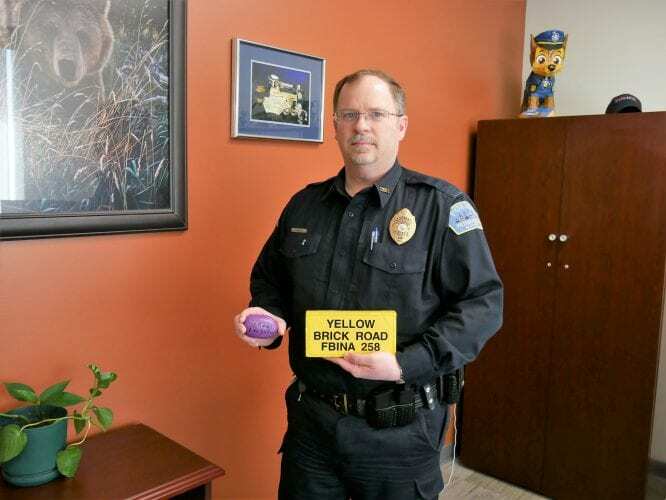 Before working for the local police department the 53-year-old was in the Marine Corps. He spent six years in combat zones in Iraq and Afghanistan. Joking aside, Holmgrain says coming back to work in Petersburg’s police station was a natural segue for him. “Granted one is military and one is police but your still helping your fellow man and doing interesting things and that was the draw for me,” Holmgrain said. Holmgrain says he likes working for the Petersburg police because it keeps him on his toes. He says the small size of department lets him continue to learn new things. The FBI’s National Academy is located in Quantico, Virginia. It trains about 220 officers at a time through 10 week courses. With that, Holmgrain hopes to learn about a variety of topics including policy, administration, and leadership. He says he’s had exposure to all of it but he’s looking to increase the depth and the width of his knowledge. Petersburg’s Police Chief, Kelly Swihart, agrees. “The networking is invaluable,” he said. Swihart went to the FBI National Academy in 2014. There, he says the officers shared email addresses with each other to continue communications after the academy was over. “If someone needs a policy example or has a specific question or problem they can put that question out to the group and invariably somebody has already solved that,” Swihart said. Swihart says just working closer to the FBI is helpful. 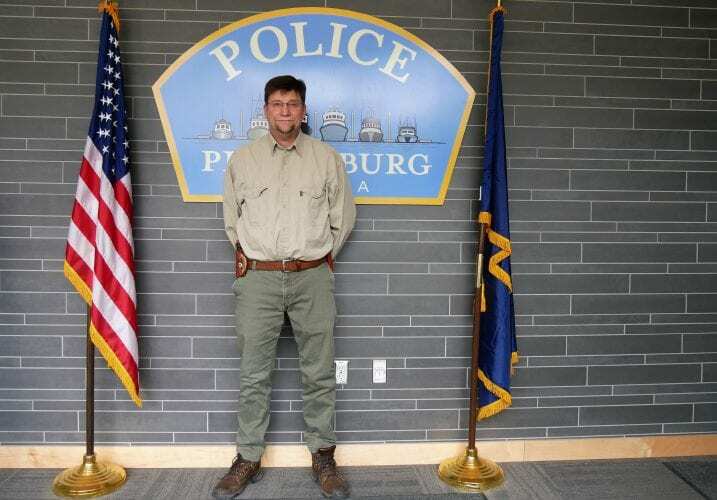 Petersburg’s police department works with the FBI on quite a bit of cases. Swihart says that having Holmgrain attend the FBI academy will help the police department. He says Holmgrain will be able to use new skills and contacts in the years to come. Holmgrain doesn’t know yet when he’ll go to the academy in 2019. Those details still have to be worked out. He and his wife Sarah have three children and two grandchildren.